Update: Our own Editor-in-Chief Chandler Wood received the same mysterious package today, so there’s definitely an announcement incoming during Thursday’s live stream of The Game Awards. Original: In a year of huge hits, 2017’s standout release was arguably Crash Bandicoot N. Sane Trilogy, which dominated sales charts for far longer than anyone expected. 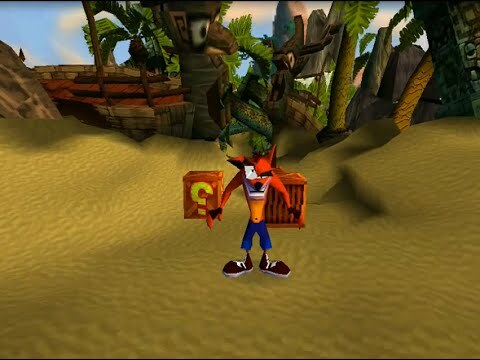 From there, the demand for follow-up remasters soared, leading to Spyro and tons of asks for a Crash Team Racing release of some sort. Now, those hopes and dreams appear to be coming true, based on a tease that is about as blatant as it can be while still qualifying as a tease. A pair of large, orange, fuzzy dice showed up at Hollie’s place of residence, paired with a message reading, “sliding into the Game Awards on 6/12…” signed by “Anonymous.” This immediately evokes Crash Team Racing, even if you don’t exactly hang fuzzy dice in go karts. The use of “sliding” also stops just short of “drifting,” which would probably have been a bit too on the nose. It’s also reminiscent of the strange packages received by industry folks leading up to the Spyro Reignited Trilogy announcement. For now, we’re still short of an official announcement, so prepare your salt accordingly until we know what’s actually happening when The Game Awards airs on December 6, 2018.